Simply E-Juice is a brand that is dedicated to bringing you simple flavors that you will never be able to get enough of time and time again. These vape juices will bring you such joy with the simplicity of their flavors that have such an intense kick you won’t know what hit you. 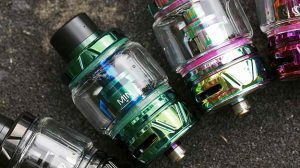 Starting in 2013 Steve Manley, the creator of Simply E-Juice started mixing DIY vape juice; discovering that he has quite a talent for it. After that local store owner who had previously sampled his vape juices began asking him if he would sell his liquid in their stores which then started Simply E-Juice. Simply Apple brings you the delicious taste of a freshly picked apple that has the most intense sweet, and juicy apple flavor you’ll ever be able to get your hands on. 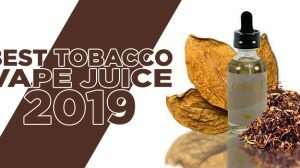 This vape juice takes the taste of a perfect red apple that is bursting with juiciness and turns it into a vape juice that you will never want to put down. As you inhale Simply Apple, the taste of a succulent red apple hits your taste buds in the best possible way. As you exhale, the flavor will subside slightly and leave you craving more and more. On top of this vape juice being perfect for sub-ohm use they also have a salt line of these exact juices so pod system users can experience the same mouth-watering flavors! Simply Watermelon takes the taste of summer and puts it into a vape juice that you can indulge on all day long. This flavor is so authentic that with every puff you will feel as if you’ve taken a bite out of a piece of freshly sliced watermelon. As you inhale Simply Watermelon, the juicy flavors of watermelon will dance across your taste buds in the best possible way. As you exhale, the flavor lingers behind slightly just enough to keep you wanting more and more. The best part about this vape juice is that it also comes in a salt nicotine version so those of you who use pod systems can enjoy the wholesome flavor as well. Simply Pineapple has just the right amount of tang to it to have your taste buds going wild with every single puff you take. This vape juice is perfect for those of you who want a tangy flavor to put some pep into your step all day long. As you inhale Simply Pineapple vape juice, the taste of pineapple will awaken every single one of your taste buds and cause the hairs on the back of your neck to rise. This flavor is so on point you will feel as if you are snacking on juicy pineapple slices. As you exhale, the flavor subsides slightly and leaves you dying for more. 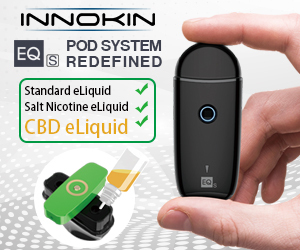 Not only do those of you who use a sub-ohm system get to enjoy this mouth-watering vape juice, but pod system users can also as well as it comes in a salt. Simply Strawberry takes the flavor of everyone’s favorite fruit and turns it into a vape juice that you will never want to stop vaping. This vape juice will quickly become your next all day vape with the accurate taste of strawberries that will drive you wild with every puff. As you inhale Simply Strawberry, the taste of strawberries that are perfectly ripened will hit your taste buds as you’ve never experienced before. As you exhale, the flavor lingers slightly leaving you craving more and more. Pod system users, don’t feel sad because this juice also comes in a salt nicotine form so you can indulge as well! 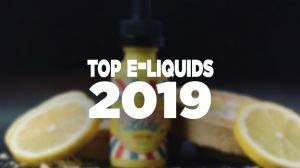 Simply E-Juice is based out of Ohio where Steve, the other juice maker Kari Buckoski, and a close group of family and friends make all of the Simply vape juices. This vape juice brand holds its principles close to them and keeps all of their juices simple. 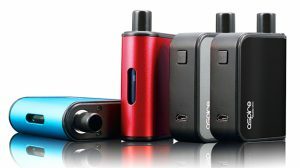 Simply E-Juice focuses on making high-quality, clean, mouthwatering vape juices.